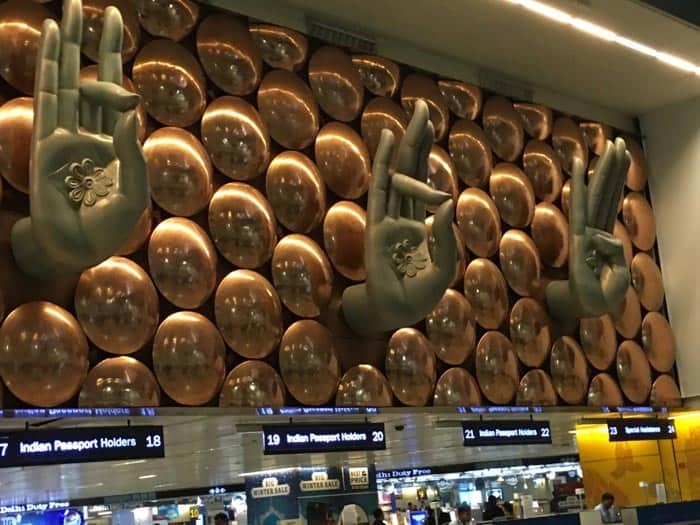 Greeting us at the airport in India—copper disks and mudras. It was a long flight from the states. 12 hours to Korea. 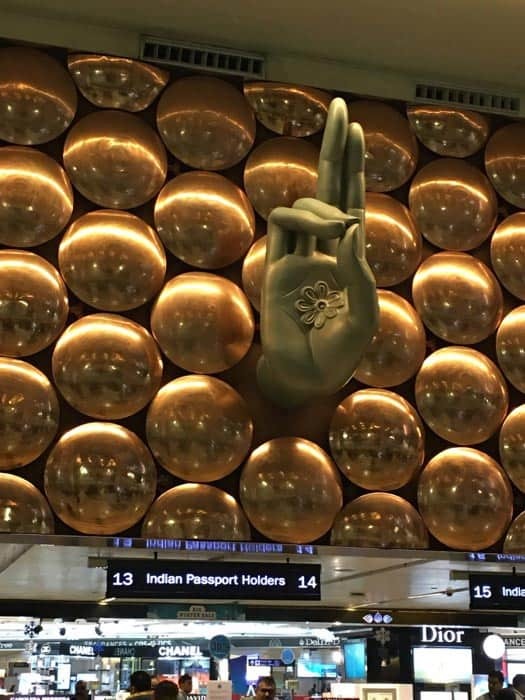 An overnight in Seoul and another 9 hours before we landed in Delhi.